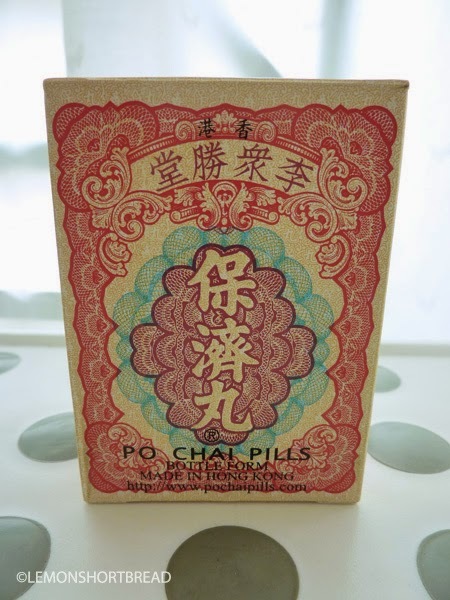 These are great, these Po Chai pills or Bao Ji Wan <保濟丸>. My grandma took em, my parents took em, I take em. I had the runs from eating something left out too long - beware Hainanese chicken rice at evening, folks - and that was an ORDEAL as I was at the mall. Anyhow the first thing the older folks here would say is to 'ki jiak po chai yin' (go eat the po chai pills). Another alternative is charcoal pills if Po Chai didn't work but that is utter last resort and charcoal pills are the worst. The instructions say to take 2 bottles but I ate one and that's that. The end of the runs. Maybe you can do a few more doses if you got the serious case lol. It definitely beats that thing called Peptol Bismol (yukity yuks) and I only ended the runs after 3 days of Peptol Bismol but had no other choice because I was in the US back then, and wishing for my Bao Ji Wans. Next time I will remember to bring a couple with me just in case. 10 vials per box, I like the packaging. It's nice and old-school, it's got embossing too. When I was little, I used to keep the plastic vials for no reason. 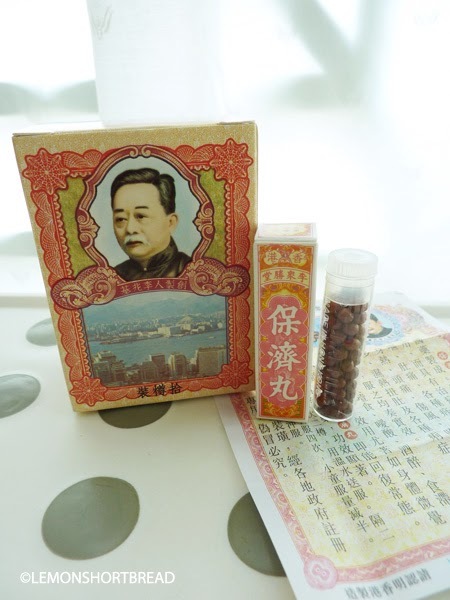 Li Shiu Kei from Foshan, Guangdong developed them in 1896. 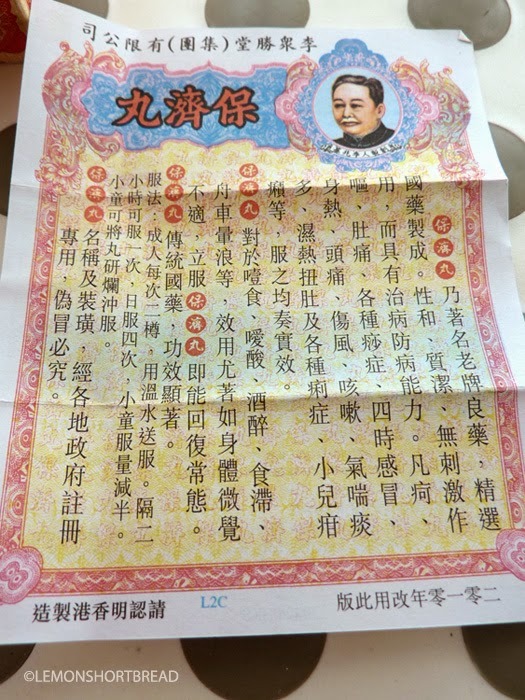 He moved to Hong Kong after the Chinese civil war occurred. They are herbal. No known side effects, unless you are allergic to any of the ingredients. They say you can take it as a supplement if you have any gastrointestinal problems, or after some greasy food if you can't seem to digest properly. Maybe a half vial will do for those. It says fever and cold too, but I am not sure since I only take these for tummyaches and runs. When I was little, I would take a few bits whenever I saw my dad eating it since they were so tiny. 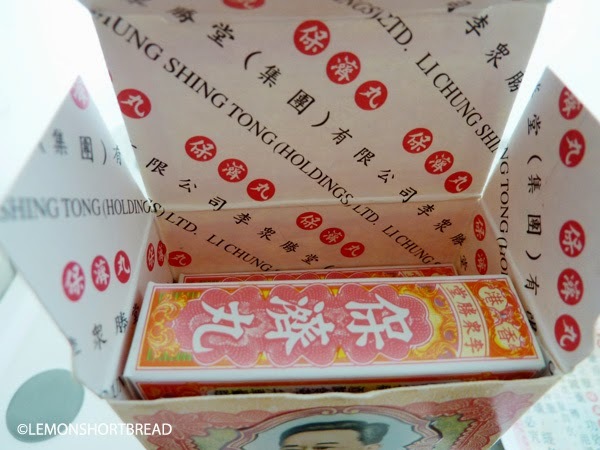 The smell smells like typical TCM, and it is bitter but chinese herbs usually are. 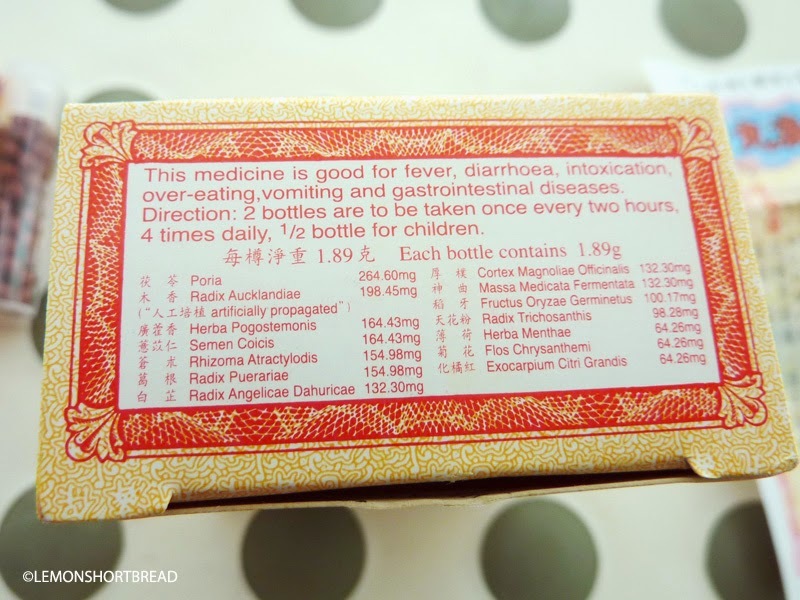 The chinese believe the more bitter, the more potent (with the exception of poison), this one would be mid-way bitter. 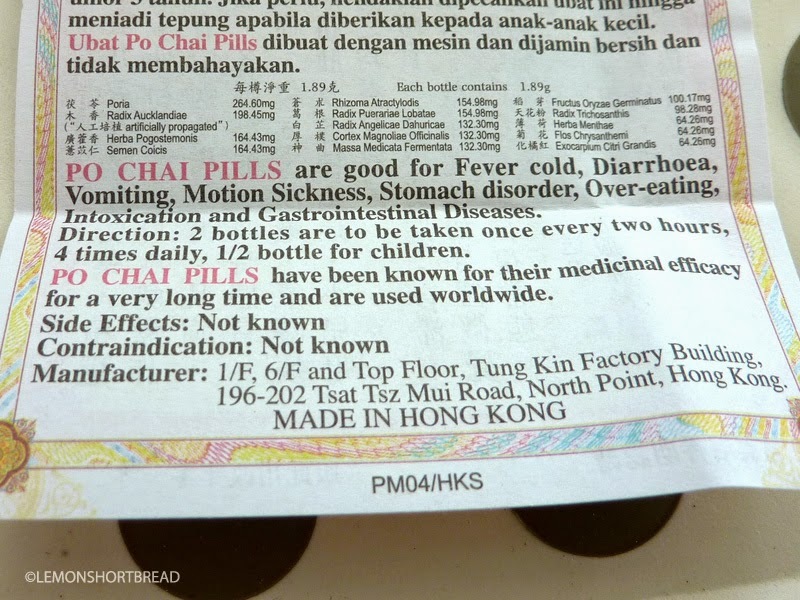 Back in 2010, the Po Chai in capsule form were found tainted with cancer-causing chemicals and both products were banned in Singapore, the capsule form is no longer in production since they aren't even popular to being with; I never knew they came in capsules either. The pills are not tainted so the ban on those were lifted shortly. They are available on Amazon if you do not live in Asia. Great for hangovers as well. Take one before you drink, one before you sleep, and one the morning after. Really helps. BTW anybody know where his grave marker is ?